Bookkeeping builds the basic foundation of any financial statement for a business. Without proper bookkeeping, your financial statement can easily be created wrong and in turn, you could be losing out on a lot of money at the end of every year. During the bookkeeping process, your Canadian bookkeeper decides which of your transactions are debits and credits and these decisions can easily change how much revenue you gain and how much taxes you pay at the end of the year. Not only do bookkeepers record entries which will be used to make your financial statement but they also bill clients for goods and services, they record receipts, pay suppliers, verify invoices, and so much more. Becoming a bookkeeper is a lot easier than becoming an accountant. The most conventional route to take is to complete high school and then get a diploma or certificate in bookkeeping. You can also go a step further and become a certified bookkeeper by joining a certified beekeepers association. There have been plenty of cases in history-both recent and old- where companies were forced to cough up millions of dollars because of sloppy bookkeeping. Such as an all too recent incident in which sloppy bookkeeping literally lost the city of Philadelphia over 900 million dollars. How do you know you are hiring the right company when it comes to bookkeeping in Toronto or even any other part of Canada? How do you Find the Best Bookkeeping Services in Canada? When you are looking for a good bookkeeping service the first thing you want to do is ensure that the accounting firm or bookkeeping professional you are looking into is good with communication. It really helps if he or she has set up a good website through which you can easily contact and even pay them. Bookkeeping needs to be done by competent professionals who truly know and understand what they are doing. The biggest mistake you could make when looking for a professional bookkeeper is that you just go in and start working with someone without any prior investigation., You should be able to call them with ease and have your work delivered to you on time without any mistakes in it. Naturally, firms with good reviews are always a good option, but apart from just relying on reviews, you should also be able to communicate with them easily and efficiently. Asking an accounting firm if they have the latest software available is also something that you should do when looking for the best bookkeeping services in Tronto. If they have the latest software available they will most likely be able to get your work delivered to you on time and without any mistakes. When looking at a bookkeeper in particular there are 5 traits you should look out for. 1. 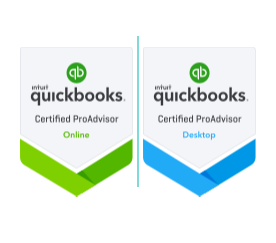 Experience- Bookkeepers who have done past work with other clients and have been in the industry for several years can give you a better guarantee that your work will be returned without any flaws. 2. Work Ethic- Canadian bookkeepers should exhibit the best possible work ethic. Since they will be dealing with your personal financial information you should ensure they are very honest in their work and that they will keep your information private and secure. 3. Attention to Detail- Every good bookkeeper should be a very good editor. Bookkeepers have to go through a lot of transactions and if they naturally have an inclination to paying attention to minor details then you should definitely consider hiring them. 4. Refund policy- A good Canadian bookkeeping service will be able to give you a refund agreement if there are mistakes or if they do not meet the deadline. You should also be able to get at least one free revision from them if they don’t do the work right the first time. 5. Communication Speed- One of the best traits a good Canadian bookkeeper will have is that they will respond to your messages and phone calls almost immediately. Feel free to interview your bookkeeper for as long as possible. Many people simply rely on what their bookkeepers advertise, but if you are going to be hiring someone to do your work for you need to be fully confident that they will be able to get all of your bookkeeping needs fulfilled the way you want. In order to ensure this, you should interview them and make sure they have the above 5 traits.